ANNOUNCING THE 5TH ANNUAL ALLSTAR ROUND-UP! 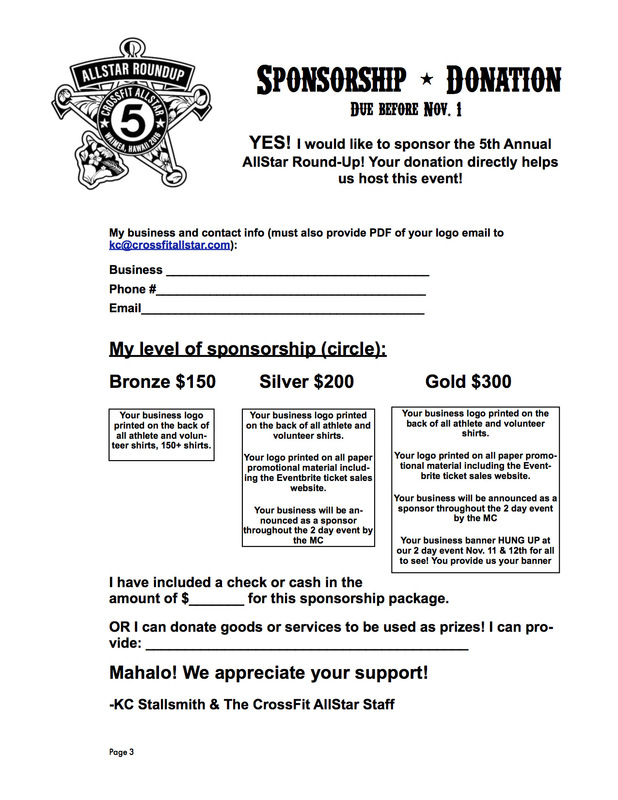 ALL CFAS ATHLETES I'M ENCOURAGING YOU TO ENTER THIS YEAR! HELP US SET A GYM RECORD FOR THE MOST ATHLETES COMPETING FROM ANY GYM PLEASE!!!! We are grateful to all our volunteers who want to be part of this great event, VOLUNTEERS MUST REGISTER ONLINE AT THE EVENTBRITE LINK ABOVE so we can assign duties for the event and get yo ur shirt size! Please see below and take a moment to watch a video about the purpose of this event! WODs to be announced. Expect 3 events on Day 1. Expect 1+ event for everyone on Day 2, with a final event for top 4 competitors in each division. Skills tests will be given throughout the weekend for everyone. More info to come about this! PLEASE CHECK EVENTBRITE TO REGISTER AS AN ATHLETE OR VOLUNTEER FOR THIS GREAT EVENT! KIDS EVENT REGISTRATION ALSO ON EVENTBRITE! 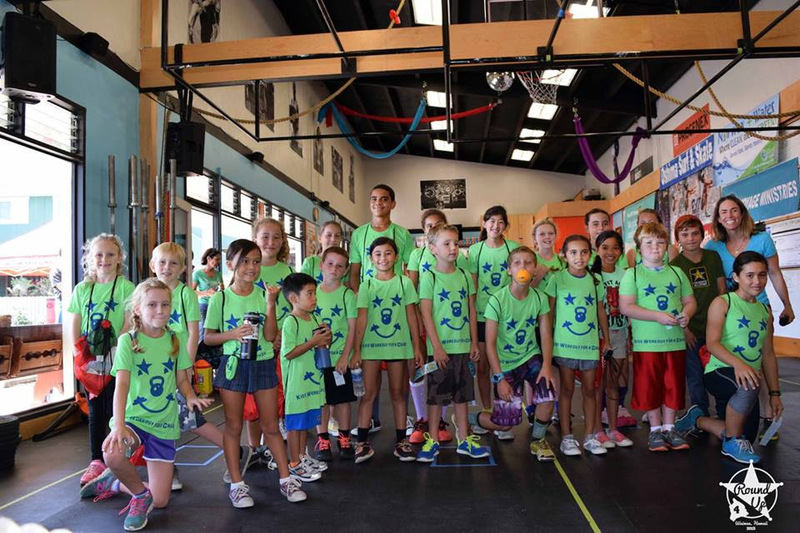 It’s coming.... November 11th & 12th more than 120 CrossFit athletes of all ages will compete at the 5th Annual AllStar Round-Up at CrossFit AllStar in Waimea, on the Big Island of Hawaii. The 5th Annual Round-Up is expected to draw more than 250 spectators, as the popularity of the event grows in size each year. 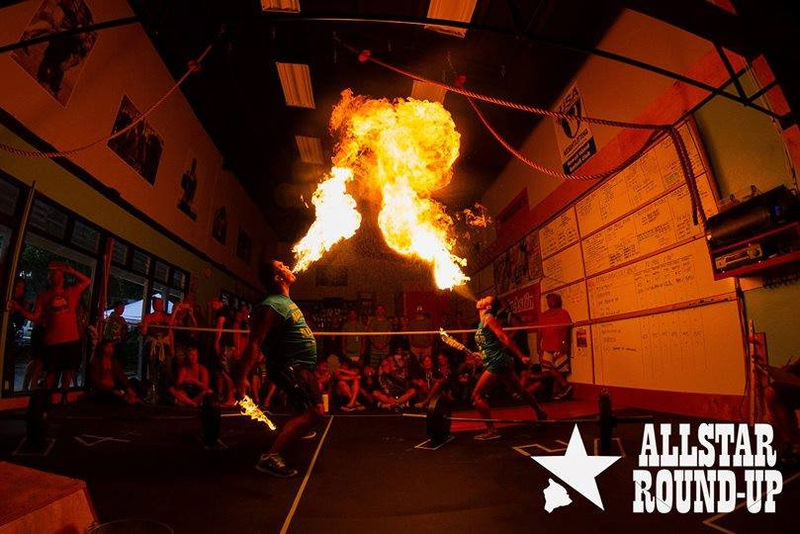 The AllStar Round-Up is the premier Individual CrossFit event in the State of Hawaii at this time, with athletes coming from all cardinal points on Hawaii Island, from outer islands, and even from the Mainland. Athletes come to compete and put their training to the ultimate test of fitness, together with a supportive and enthusiastic community of spectators. Please reply to this email is you would like to contribute! We are grateful to work with businesses that support our mission. Your donation helps us host this event! We're also looking for goods or services we can use for prizes! MAHALO! Hope to see you at the 2016 AllStar Round-Up! Article originally appeared on CrossFit AllStar (http://crossfitallstar.com/).